Just a reminder of what we focus on at Active Trend Trading. First we use a “rules based”, mechanical system for planning swing and trend trades in three different strategies. Active Trend Trading Premium Members can parallel trade in one or all three of these Strategies. For members starting out focusing on Strategy I promotes learning the system before branching out into either of the Option Strategies. Strategic Plan I: Portfolio Building–The objective of this strategy is to take advantage of changes in trend on IBD 50 Growth Stocks and a stable of quality ETFs that follow the Indexes plus Gold, Oil, Financials and Biotech’s. 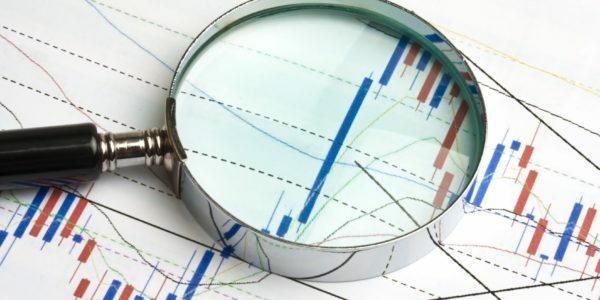 There will be occasional Futures trades in Oil, Gold and the Russell that will be included and do reflect in totals beginning at the end of 2018. Strategic Plan II: Options–The objective of this strategy is to use Active Trend Trading Triggers for short to intermediate swing trades using directional option strategies. Expected hold time is a few days to a few weeks. This Strategy is designed for weekly & monthly growth tied to a Strategic Compounding. 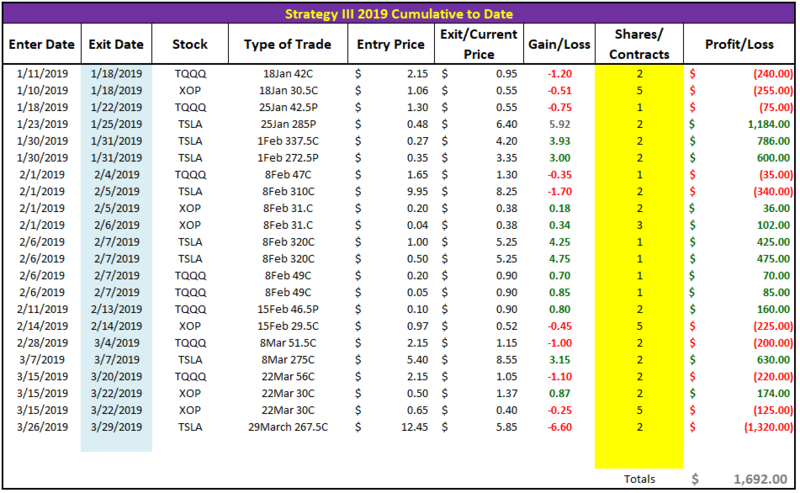 Strategic Plan III: Income and Wealth Building–The objective of this strategy is to sell weekly premium against LEAPS positions in TSLA, TQQQ & XOP. 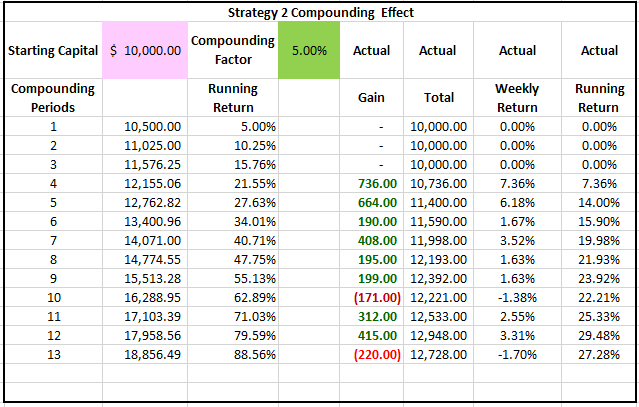 Selling weekly option premium against these foundational positions reduces the cost basis with an objective of returning between 50% and 100% on the initial investment after paying for the initial investment. I expect the Magnificent 7 ETFs and selected premium growth stocks to perform as they have in past years. Our job is to patiently wait for the trade Setups, Order Triggers and risk adjusted profit targets. 2019 March Update: Total trading capital brought forward from 2018 was $100,000. We spent the first few weeks of 2019 doing Basic Training for members learning to trade the Active Trend Trading System. With this foundation in place we can now focus on execution and grow our wealth through the end of the year! In 2019, I will maintain the focus for both Strategic Plans 1 and 2 for capital growth and weekly income. I will zero in on trading both direction using the Super 8 Leveraged ETFs in 2019. These trading vehicles showed their strength in 2018 in both up and down markets. I expect Strategic Plan 3 to continue to producing profits in excess of 50% year after year. 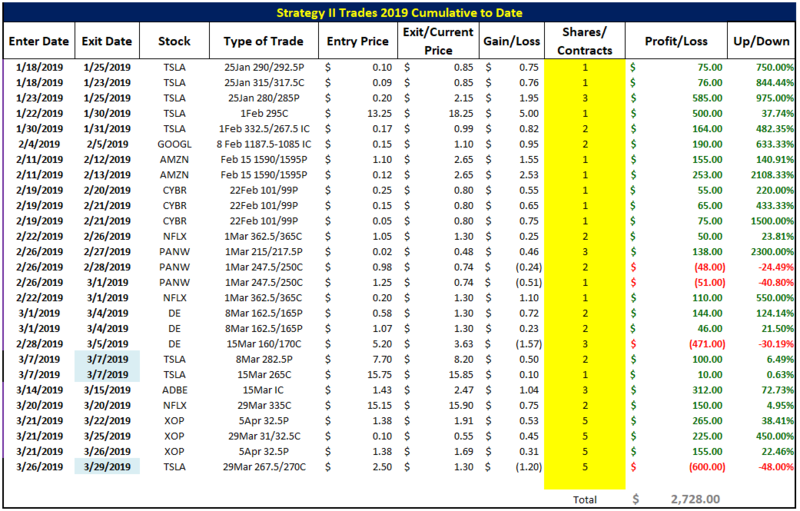 This year the foundational straddle positions for Strategic Plan 3 are TQQQ, XOP & TSLA. I am adding a Strategic Compounding focus to Strategic Plan 2. Weekly options provide the vehicle by which an average 5% growth per week is achievable. Applying a compounding rate to 5% per week on a starting amount of $10,000 will result in excellent return by the end of the year. Currently this strategy is up ove 27%! As of March 31st each of the Tracking Indexes continues in an uptrend. While continued upside may be more gradual continue to look to trade off pullbacks. The objective for March–Patiently wait for the solid price and momentum setups as defined by the Active Trend Trading Rules. Market Action Points Update: MAPs has not had a major or minor trigger this year. A courtesy alert was issued on a basic trade signal for the inverse Russell ETF TZA. This trade resulted in a profit of 4.05% for the year.